For a simple supper at the end of a superb summer Sunday, macerate fresh chopped tomatoes and basil in a garlicky red wine vinaigrette. 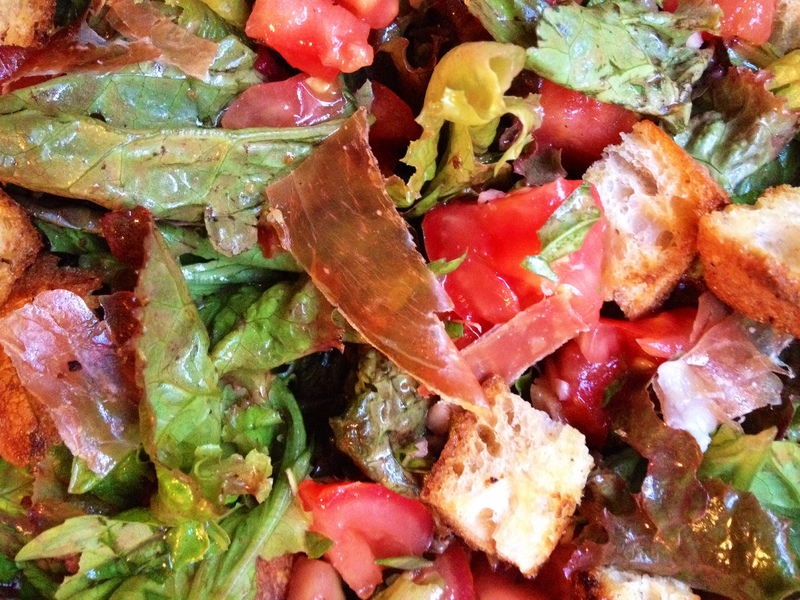 Toss with red leaf lettuce and croutons made from the remainder of Friday’s baguette. (If you happen to have a little Serrano ham left, so much the better.) Pair your salad with a wine spritzer using that Riesling that somehow escaped consumption mixed with a little seltzer. This entry was posted in quick lunch, salads and tagged basil, bread, lettuce, tomatoes by Jasmine Nielsen. Bookmark the permalink.